1. Adding a pool -- Swimming pools can be fun for the entire family, but they can also be dangerous and will increase your liability risk. While most homeowners policies include a minimum of $100,000 in liability protection, it is advisable to purchase additional coverage or talk to your agent about an umbrella liability policy. 2. Remodeling -- Contact your agent before renovations begin to ensure you have all of the proper protections in place. For example, if you have friends helping with a DIY project, you'll need good liability coverage in case of an accident. If it's a major renovation, you may want to consider a builder's risk policy, which protects your home from damage that may occur during construction. Even when the project's complete, you may need to increase the amount of insurance in place to rebuild your newly improved and presumably more expensive home. 3. 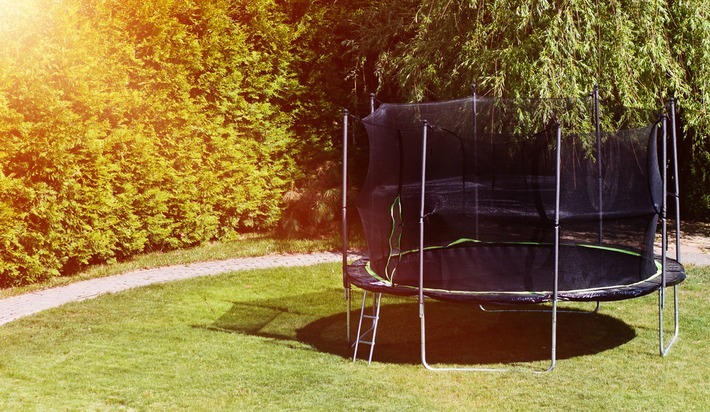 Getting a trampoline -- Some homeowners insurance policies place no exclusions on trampoline usage. Others may require certain safety measures, such as a net enclosure or a fenced-in yard, before extending protection. But some policies exclude trampoline coverage altogether and may even cancel your policy when it comes up for renewal. Your best bet? Check in with your insurance agent before renovating or making any big purchases for the home. Even if it means a premium increase, at least you won't be taking on the added risk of having a claim denied.